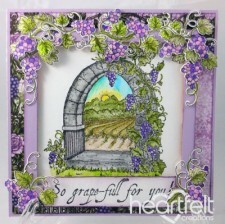 Heartfelt Creations is a family owned company started in 1997. We exist to dynamically inspire, uplift, and add value to each person that comes in contact with our creative inspiration and crafts. 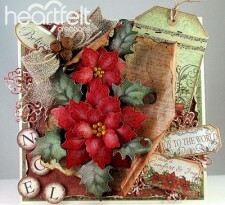 We do this with a unique line of coordinating artistic stamps, detailed dies and designer papers. 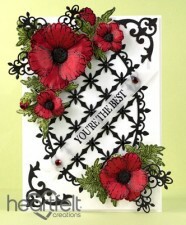 Our products create timeless and elegant handmade cards, scrapbook layouts and altered art projects. We invite you to join our mission. 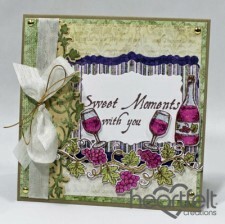 Heartfelt Creations® is committed to integrating creative ingenuity and exceptional quality into each product. Each product is crafted from the finest materials available. 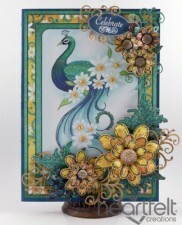 Many of our rubber stamps are designed to coordinate with exclusive craft dies. 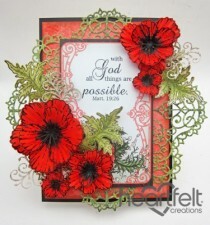 The innovation of our stamps paired with matching dies offers a whole new dimension of possibilities and quickly adds eye-popping 3D depth to any project. Our designer papers are designed to coordinate with our product collections adding the perfect complement to any Heartfelt Creations stamp or die. Paper Collections: Our paper collections come in packs of twenty four 12 x 12 double sided sheets, two sheets of paper per design. Dies: Our exclusive detailed dies are thin metal dies designed to cut in most manual die-cutting machines. Cling Stamp Sets: Our cling stamp sets are mounted on EZ Mount Foam, cut and ready to use with an Acrylic Block.